If your eye started to bleed, what would you do? It seems obvious, but of course you would want to see your doctor right away. Would you react the same if this were to happen in your mouth? Under normal and healthy conditions your eye shouldn’t bleed, and neither should your mouth. Bleeding gums can be a sign of periodontal disease (Gum disease). Did you know that 47.2% of American adults over 30 have gum disease? That’s 64.7 million people! It doesn’t get better with age. 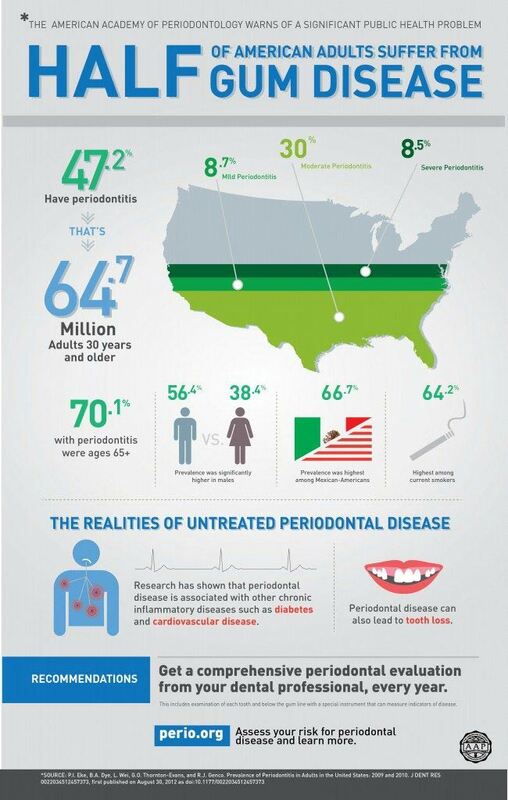 When you look at adults over 65 the prevalence of periodontal disease increases to over 70%. These are statistics published from the CDC in 2012, and from our experience things aren’t getting any better!